Next month, we’re excited to be publishing Zoë Bennett and Christopher Rowland’s In a Glass Darkly: The Bible, Reflection and Everyday Life. The book offers for the first time a critical dialogue between practical theology and biblical hermeneutics. It considers the role of emotional engagement and critical understanding in biblical interpretation from here and presents being critical as an act which is just as much appreciative as it is suspicious. In this extract from the introduction, the authors give their thoughts on what they hope the book will offer. T.S. Eliot wrote of the need to ‘remind ourselves that criticism is as inevitable as breathing, and that we should be none the worse for articulating what passes in our minds when we read a book and feel an emotion about it for criticising our own minds in the work of criticism’. Substitute ‘practice of Bible reading’ for ‘reading a book’ and we have an apt description of what we are trying to do in our book (Eliot 1951: 3). A key theme of this book is that the Bible has a part to play in thinking about life. Learning to be critical must take place in the midst of everyday life. The Bible can be a part of this process, in which it is not an authority to which we defer but a catalyst for change and a tool of reflection. As such, criticism is not something done after the day’s work is done (though it may include that), but in the midst of life, as patterns of analysis and reflection become part of the habit of everyday living. We think that engaging with the Bible is a neglected way of developing a critical perspective. For this reason we have attempted to indicate the ways in which the Bible has been a resource to us, and how we have developed a critical awareness through it. To quote the words of the Brazil-based liberation theologian, Carlos Mesters, Chris ‘understands life by means of the Bible’, while Zoë ‘understands the Bible by means of life’. Our backgrounds are in practical theology and biblical studies, but we have both explored how we can learn from the ways in which the Bible has been used in the past, and by others who have explored the way in which critical theology emerges from life rather than from the study. We bring to this subject a shared interest in what is commonly referred to as contextual theology (though as will become clear in the book we think all theology is necessarily contextual). We have both learned much from the psychotherapeutic tradition and the skills that it encourages – to be aware, to listen, and to analyse and discern the next steps. We hope to stimulate readers’ imagination to engage with the Bible, by showing how and why it has been important for us. That has meant learning what we call ‘critical reflexivity’ which above all else requires an acknowledgement that there is no Olympian place from which to do our criticism. We will look at an ‘archaeology’ of our own Bible reading history. Understanding how we already interpret ‘inhabit’, and use the Bible, and how it is already in us, is a good starting point. The archaeology of one’s reading history is a means to an end. This is not introspection for its own sake. Rather it is an essential part of the task of teasing out our prejudices. Self-reflexivity is a crucial tool whereby we might live better lives. Criticism is not an optional extra in life but is central to our humanity: ‘as inevitable as breathing’. Socrates words quoted earlier ‘for the human being the unexamined life is not worth living’ (Apology 38a), embody a conviction which we would want to endorse as we too go on our journey of finding ever-new ways of being self-reflexive. Being self-reflexive is an indispensable part of allowing ‘the Poetic Genius, the Spirit of Prophecy’ (Blake, All Religions are One) full rein to do its work of protest and imagination rather than getting caught up in a self-centred ego-trip. We want to find ways of becoming more critically self-aware in our lives, and the Bible may assist us in that. For us a ‘wrong’ interpretation of the Bible’ is one which is promoting inhumane behaviour largely as a result of not being sufficiently critically reflective. Writing about the task of discerning a critical space for us includes describing and reflecting on what it is like to live with (or even in) the Bible. We indicate why we have lived with the Bible for so long, why it has given as an intellectual framework which informs who and how we are and helps to carve out a critical space for us. So in a sense what we want to do is explore that which is endemic in critical study in the humanities, but in the process try to broaden the notion of what constitutes criticism by suggesting that the Bible is not just the object of criticism but a means of practising it. An important part of our somewhat different critical journeys has been learning from the way others have engaged with the Bible. Ruskin and Blake have meant much to us, and we would like to see them informing biblical interpretation more than they do. What we have learnt from our discovery of the differing ways of engaging with the Bible is that developing a critical perspective will not just be a resort to familiar theoretical, doctrinal, or historical examples. Whatever we have to offer arises out of how we have attempted over the years to reflect on the various ways in which the Bible has informed our lives and the ways in which we have sought to establish patterns of discernment to be able to reflect on this. We attempt to condense from these some guidance on developing good practice. Our major aim is the creation, articulation and cultivation of a critical space in which the theological tradition of which we are part informs what is going on, albeit in ways which are in an appropriate dialectical relationship with our context. This will enable the interpreting subject to see more clearly and as a result make informed judgements. In this task we have come to expect theology, and biblical studies, to have their part to play, along with experience, in cultivating a critical perspective. There is no assumption that theoretical reflection, historical enquiry and sociological theory, have no part to play in learning to be critical and reflective, but we have resisted giving them the dominant role in working out how it is we learn to be ‘critical’, in order to make space for illustrating how the Bible has been as much assistance as the human sciences. Our view is that the Bible itself can offer a contribution to criticism, but the negotiation of a critical perspective comes not by detachment, but by finding that everyday life can be informed by the Bible and equally illuminate what the Bible is about. The ancient saying, Solvitur ambulando, (it is solved as one walks) evokes well the way in which insight is gained through practice, and criticism emerges as much, if not more, in the doing as in the withdrawal from the doing. Finding critical space and perspective in the midst of the confusion of life, is a perspective which sheds light on the particular character and context of life as it is lived, to enable that life and context to be better understood and managed. That is the focus of our thesis. What we set out to do has much in common with the ways in which the discipline of practical theology works. The traditional ‘pastoral cycle’ is in itself potentially a model for critical discernment, and is often used as such. It is what Don Browning, has referred to as ‘practice-theory-practice’ (Browning 1991). For some the Bible is the senior partner at the conversation table and takes precedence over other sources of knowledge. In this view the Christian tradition, mediated through a reading of the Bible which honours it as the privileged word of God to humanity, takes ‘logical priority’ (Swinton and Mowat 2006: 89). For others the Bible is too much of a ‘hot potato’. They are reluctant to draw on biblical resources in their understanding and presentation of situations in real life, partly because the Bible has so often been used in an uncritical and oppositional way to cut short all discussion by proof-texting and ‘Bible-bashing’, and partly through a sense of clumsiness and ‘deskilling’ when they try to engage with the Bible critically (Cameron, Reader and Slater 2012: 74-93). In fact ‘critical conversation’ is at the heart of practical theology (Pattison 2000: 135-48) and the interpreting subject is indispensable (Graham, Walton and Ward 2005; Leach 2007). Here we explore that self-reflexivity, that activity of the ‘interpreting subject’, more deeply, and specifically explore it in relation to the Bible. We challenge the exclusive focus on the hegemonic detached readings which historically have been an episode in the history of biblical hermeneutics and which characterise much current scholarship. While we adopt some of the critical perspectives of such scholarship, our book retrieves an older kind of ‘self-involving engagement with the Bible. We do think that there is an ethical component to all of this and so wish to challenge the notion of the priority of Bible, tradition or church, which should be applied to situations. We want to commend the reverse process in which situations, including especially those which involve human relating, take priority, and institutions and traditions serve human flourishing. It is what ‘the sabbath was made for humans not humans for the sabbath’ is all about. So it is a challenge to an ‘applied theology’ notion of practical theology, or indeed of any theology. Our approach offers a means of thinking and critical reflection in which the Bible is less an object of criticism and more one component among several in a process of critical reflexivity. It is not that we have found some kind of privileged perspective, whether academic or otherwise, from which we can look down on life and texts, for there is no escape from the critical process taking place in the middle of things. Discernment is going to take place in the process of learning more about ourselves, our world and the ways in which we interpret the Bible. Each of us is formed in a particular time and place. For both of us the Christian story, warts and all, has continued to be a powerful stimulus as well as an irritant, though for differing reasons. It is part of the mix of what informs our critical perspective. The Bible has helped form us and continues to act for us in ambiguous ways. We have both been formed by modern theology but have become resistant to its bracketing out of the understanding of the personal and existential from the intellectual task. Equally, we have found ourselves deeply resistant to the siren voices of neo-orthodoxy, in whatever guise. It may seem strange in the light of such caveats to assert that we still want the Bible to be part of the critical mix. Distancing ourselves from the Bible would be like losing something which has been an indispensable tool for our lives. It is not the only tool we use but for us both it must be one of them for it is part of who we are. Bolstered as we have been by our historical study, we are confident that what we are attempting to do is not only worth doing but of use to a wider group of Christian practitioners. What we do is personal and ‘self-involving’, but all the time it seeks to be critical. It offers a possible model of how one may go about critical reflection. What we are seeking is akin to Ernst Bloch’ ‘educated hope’, in which we can learn to discern and intervene in the midst of ‘the darkness of the lived moment’ (Principle of Hope, i.290), informed by past experiences as well as by the growing ability to catch a glimpse of the world as a better place. Zoe Bennett is Senior Lecturer and Director of Postgraduate Studies in Pastoral Theology at Anglia Ruskin University and the Cambridge Theological Federation. She is the author of Your MA in Theology (SCM Press 2014). Christopher Rowland was formerly Dean Ireland’s Professor of the Exegesis of Holy Scripture and Fellow of The Queen’s College, Oxford from 1991 until 2014 and is a co-author of Theological Reflection for Human Flourishing (SCM Press 2012). In a Glass Darkly is published on December 31st, but if you preorder a copy now via our website you’ll get an extra 20% off the cover price. Click here for details. Last month, we published the second edition of John Swinton and Harriet Mowat’s important textbook Practical Theology and Qualitative Research. Today we bring you an extract. Nevertheless, while there is diversity, there remains a good deal of continuity and commonality. Irrespective of the theological and methodological positions, the common theme that holds Practical Theology together as a discipline is its perspective on, and beginning-point within human experience and its desire to reflect theologically on such experience. Practical Theology seeks to explore the complex theological and practical dynamics of particular situations in order to enable the development of a transformative and illuminating understanding of what is going on within that situation. A key question asked by the Practical Theologian is this: is what appears to be going on within this situation what is actually going on? Practical Theology is therefore critical, analytical and frequently prophetic and revelatory. It approaches particular situations with a hermeneutics of suspicion, fully aware that, when the veil is pulled away, we often discover that what we think we are doing is quite different from what we are actually doing. But such a hermeneutic of suspicion requires a corresponding hermeneutic of generosity. A hermeneutic of generosity means that the Practical Theologian always seeks to dwell faithfully within the narrative of God’s continuing generosity towards the world. Despite our epistemic failures, the quest for truth and understanding is a possible and worthwhile goal, but it is always a generous gift; never a mere human achievement. The relationship between theology and the social sciences is sometimes fraught and difficult. (Milbank 1990) This tension has often been particularly acute within Practical Theology due to the fact that the methods and approaches of the social sciences have frequently been an important dynamic within the process of practical theological enquiry (Browning 1983 & 1991). This is the case with regard to the use of qualitative research within Practical Theology. Historically, the primary modes of qualitative method, analysis and data collection have emerged from the social sciences. Social science has offered practical theologians necessary access to the nature of the human mind, human society and culture, the wider dimensions of church life and the implications of politics and social theory for our understanding of the workings of creation. The social sciences have thus been vital and fruitful dialogue partners in the ongoing process of theological reflection. While a variety of social sciences have been utilised by Practical Theologians – psychology, sociology, philosophy, political theory, social theory, anthropology – in this book we will explore the relationship between theology and the social sciences specifically as the conversation relates to the use of qualitative research methods within the process of theological reflection. As will become clear in chapter three, whilst there is a need for care and critical epistemological awareness when we use qualitative research, this way of looking at the world has much potential for facilitating faithful understandings of God’s Creation. The primary purpose of this book is to address this question: How can we faithfully use qualitative research to provide authentic data for theological reflection? The term “faithfully” is important. As we will see in Chapter 1, Practical Theology is first and foremost a theological discipline. This means that it does not simply seek after knowledge for knowledge’s sake. Rather, the knowledge generated by Practical Theological research is intended to increase our knowledge and understanding of God and to enable us to live more loving and faith-filled lives. The knowledge that Practical Theology offers is thus an intricate conjunction of what St. Augustine describes as sapientia and scientia; it is a form of wisdom and contemplative knowledge that enables us to come to love God simply for God’s sake. In his work on the trinity and elsewhere (Ayers 2014), St Augustine develops an understanding of wisdom as rooted in the primary vocation of human beings, which is: to love God and to live as people who are loved by God. Augustine distinguishes between wisdom (sapientia) and knowledge (scientia) (Charry 1999, p 133). In fact both are forms of wisdom, but for the moment it will be helpful to look at them separately. Sapiential knowledge is knowledge that directly helps us to learn what it means to love God. Wisdom focuses on the transcendent, unchanging reality of God. Here we find such things as beauty, faith and love. Sapiential wisdom is the kind of wisdom that, for example, ministers need as they visit congregants, or chaplains are required to live out at the bedside. Sapiential knowledge enables us to feel, to emote, to silently pray, to work with the unspoken and to dwell comfortably with mystery and hope. All of these things are pretty difficult to measure, but their resonances can be captured if we engage them with methods that are open and sensitive to the subtle dynamics of such experiences. One of the desires of the authors of this book is that qualitative research can be perceived as a way in which we can access and come to understand the significance of sapientia for the work of theology. Scientia relates to things that are rational, observable, tangible and potentially changeable. Scientia is the type of knowledge that systems oriented towards the centrality of empirical evidence tend to privilege over other forms of knowledge. In Augustine’s view, the recognition and exploration of such knowledge is important; but it is not an end in itself. Scientia should ultimately relate to the love of Divine things. Scientia requires constantly to be reoriented towards love, assisted by the prior grace of God in Christ (Charry 1999, p 146). For Augustine, it is within Christ that scientia and sapientia are united. We will return later in the book to the ways in which qualitative research and theology are held in critical tension within the person of Christ. For now, we simply need to note that these two ways of encountering the world – sapientia and scientia -are not incompatible. They both have the same goal: to help us to love God more fully and to live as people who are loved by God. Faithful scientific knowledge is a mode of wisdom; a recognisable aspect of how we encounter the world. Such wisdom is tangible, verifiable and observable. Both scientia and sapientia are interpenetrative aspects of divinely given wisdom (Charry 1999, p 33). Such wisdom provides the basic spiritual orientation of Practical Theology as we will lay it out in this book, and opens it up to a fascinating variety of approaches and methods which utilise and emphasise different aspects of Augustinian wisdom. Understood in this way, there need not be tensions between the desire to scientifically explore the world and the obvious reality that the many if not most of the important things that we encounter in our lives – love, friendship, community, death, dying – cannot be “looked at” or measured. Our scientific knowledge and our existential, experiential, spiritual knowledge, work together to provide the type of practical wisdom that forms the basis for good Practical Theology. The book falls into three parts. Part 1 lays down the methodological foundations for the book. Here we locate the book within the discipline of Practical Theology and begin to show the processes by which Practical Theology and qualitative research can come together in ways which are theologically constructive and contemplatively faithful. Chapter 1 presents the understanding of Practical Theology that underpins the book. It argues that Practical Theology relates to the critical, theological exploration of situations. Situations are complex and complexing entities that are inhabited by hidden values, meanings and power dynamics. The task of the Practical Theologian is to excavate particular situations and to explore the nature and faithfulness of the practices that occur within them. Such an exploration of situations and practices enables the Practical Theologian to take up a unique and vital role within the process of theological reflection and development (Graham, Walton and Ward 2005). In Chapter 2 we offer a perspective on qualitative research as it relates to the central intentions of Practical Theology. Here we explore the central tenets of qualitative research and explore their underlying epistemological bases and how these philosophical presumptions shape and form the various methods that make up the practice of qualitative research. Chapter 3 examines some of the key tensions between Practical Theology and qualitative research, with a particular focus on the ways in which these two modes of enquiry can be brought together without one collapsing into the other. Drawing specifically on a particular understanding of the doctrine of the Trinity and the theological ideas of conversion and sanctification, this chapter offers an original and thoroughly theological model of integration that will enable Practical Theologians to work effectively and faithfully with qualitative research methods. These three chapters form the bedrock upon which Part 2 is built. Part 2 moves from these theoretical and methodological issues to focus on a series of qualitative research projects carried out by the authors. Each case study is designed to show a different dimension of the way in which those researching within the discipline of Practical Theology can use qualitative research. Each contains different methods and each is written for a different audience. In this way we offer a wide perspective on Practical Theology and qualitative research as it relates to different modes and intentions. Here we examine such approaches within qualitative research as ethnography, hermeneutics, phenomenology, theological reflection, action research and participatory research. These chapters explore a number of different methods and approaches and provide insights into the process of question development, interviewing, working with focus groups, validation and rigour, the concept of resonance and generalisability and the interpretation of texts. Each study is divided into sections covering: the situation, the method, analysis, and theological reflection. In this way the reader is able to see the various ways in which the methodological positions highlighted in Chapters 1–3 work themselves out within the complexities of exploring human experience. The conclusion offers a model of Practical Theology as a ‘theology of action’, arguing that the underpinning approach to qualitative research within the framework of Practical Theology is ‘action research’. In qualitative research settings this is a method of enquiry and practice which encourages controlled and focused change using the knowledge and expertise of those involved in the research setting (Hudson and Bennet, 1996). In Practical Theology it can be understood to be a framework of enquiry which is driven by the desire to create the circumstances for transformative action that not only seeks after truth and knowledge, but also offers the possibility of radical transformation and challenging new modes of faithfulness. Taken as a whole this book offers a unique and important insight into the relationship of Practical Theology and qualitative research and presents a way of approaching Practical Theology which is theologically coherent and practically vital. It is our hope that readers will find this book useful and challenging and that as they work through its implications, they will be enabled to think more clearly about this important area, and practise more faithfully in terms both of their research and of their personal spiritual journey. John Swinton is Chair in Divinity and Religious Studies at the School of Divinity, History, and Philosophy, University of Aberdeen. Harriet Mowat is an internationally recognised expert in qualitative research methodologies. You can find out more about the book, and order a copy, via the SCM Press website. If ever there was a time when we needed a ‘generous ecclesiology’, perhaps this is it. 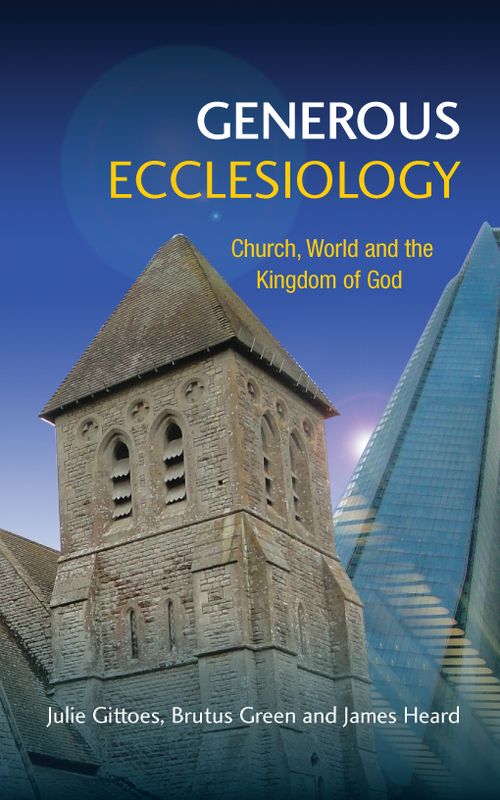 Published in 2013, and edited by Revd Dr Julie Gittoes, Revd Dr Brutus Green and Revd Dr James Heard, Generous Ecclesiology sought to present a positive theological response to the issues raised by Mission-Shaped Church and For the Parish. The former reminds us that the church is to engage in creative and imaginative ways with our missionary calling. The latter affirms the place of inherited patterns and structures which cannot simply be discarded. Alert to the danger that discussion about tradition and innovation can become polarized; the editors of the book recognize that living in relation to a generous God shapes our ecclesiology. Today we bring you an extract, taken from the introduction. Over the last decade, mission has claimed the top spot on the agenda of the Anglican Church at a national and local level. In order to respond to the missionary opportunities within contemporary culture, a mixed economy of network churches emerged alongside parishes. However, while the vision for renewal was for the whole Church, not just one wing of it, a dichotomy has emerged. The upsurge in energy and enthusiasm for Fresh Expressions of church has led, in some instances, to feelings of isolation, bewilderment and even hostility for some in traditional parish contexts. It is timely, therefore, to re-engage with a deeper vision of Church and mission, rooted in worship and responsive to the world. Such a vision flows from an understanding of God’s generosity. While the mutual suspicion of different parties in the Church can lead to defensive and dismissive withdrawal, it is our belief that the differences that have emerged in relation to mission and ecclesiology demand a generous response. Mission-Shaped Church (referred to hereafter as MSC), published in 2004, is one of the most widely read reports produced by the Church of England.1 It reflected upon some of the Fresh Expressions of church emerging in response to cultural changes within society and sets out methodologies and frameworks for enabling the Church to proclaim the gospel afresh in this generation. It also sought to set out a theology for a missionary Church – and has generated a plethora of ‘mission-shaped’ publications, a DVD of inspiring and challenging stories entitled Expressions: Making a Difference, and a series of ‘Share’ booklets to enable parishes to start ‘new’ churches. The role of the parish church in Anglican mission, however, was not discussed in detail in the 2004 report. Where it is mentioned, the parish is often seen in negative terms – as being out of date and restrictive, unable to respond to a ‘network’ society. It has received limited attention in some of the work responding to the report – for example, in Mission-Shaped Parish and The Future of the Parish System.2 Yet none of these publications was devoted to a thoroughgoing theological critique of the consequences of Fresh Expressions for our ecclesiology. The collection of essays called Praying for England, edited by Sarah Coakley and Sam Wells, affirmed the power of priestly, prayerful presence in the local parish context.3 However, a sustained conversation is needed if we are to avoid the fragmentation of parish and new churches, and a divided understanding of what it means to be church. This book seeks to respond to that invitation in order to affirm the connection between inheritance and innovation. It is a response rooted in an exploration of ecclesiology. The Church is not simply a doctrine or idea, but a ‘practice of commonality in faith and mission’.8 The Church is both embedded in God’s being and activity and also the embodiment of God’s purposes. Its vision flows from the divine source; its calling is to witness to the fulfilment of the kingdom. In anticipation of the eschaton, the Church is constituted by worship and mission. The Church must avoid falsely ‘particularizing itself’. If it is to fulfil its doxological calling and missiological task, it must not differentiate itself from the world in ways other than God intends.9 The Church is not just another ‘player’ in the world; nor is it an alternative society. The Church’s vocation demands both attentiveness to God in worship and also engagement with the world. It is a dynamic body called to share in God’s mission in the world. The Church cannot fulfil this call to embody God’s purpose apart from worship; nor can the Church be itself if it neglects the call to participate in the world. Therefore, there is no merit in polarizing the debate between an exclusive affirmation of the inherited Church on the one hand and the missionary initiatives taken by the Fresh Expressions movement on the other. It is because the Church is formed by worship that the patterns and structures, in particular the Church’s sacramental life, are not to be discarded, or seen as a burden. Likewise, it is because the Church is generated by its mission in the world that being sent out as witnesses is not a second-order activity. Thus this book seeks not to perpetuate a line of argument that becomes oppositional or defensive. Instead, we set out a vision for mission already within the rich diversity of the Anglican tradition, which affirms the witness of all parts of the Church. This affirmation of vision is a response and an invitation to an ongoing conversation. MSC acknowledged that without the authorized practice of baptism and celebration of the Eucharist, a mission initiative is not yet ‘church’ as understood by Anglicans. Yet it gave scant attention to the sacramental aspects of the Church’s life. This omission cuts the ecclesial body off from the ground of its being. For just as the Church is ‘not just another human interest group, so the Eucharist is not just a ritual activity competing for time and space with other religious acts that human beings perform’.10 The Church, its worship and its mission, are grounded in the social life of the Trinity. It is from the being of God that the Church receives its identity, life and purpose. It is a place of invitation, encounter and commissioning. The Eucharist is where the Church is called into being and where its calling is refreshed. It is a place of nourishment and healing where the community is transformed. The fulfilment of God’s kingdom is anticipated in worship; and, by participating in it, the people of God are forgiven, energized and called into service in the world. This, the main paragraph within the report on the Eucharist, appears to regard the sacrament as both essential and as a potential difficulty. In the light of such a statement it is surprising that the Eucharist does not merit more discussion within the report itself. For if no attempt is made to explore the theology of the Eucharist in relation to mission and what it is to be church, then the fears over practical difficulties will remain. However, it is also an acknowledgement that it is only through the development of sacramental life that Fresh Expressions become ‘church’. What starts off as a mission initiative or project grows into an ecclesial community. This raises challenges about what sort of ecclesial community might emerge – is there scope for differences of rhythm and style of worship, while recognizing that patterns of life and witness are being transformed and sustained by an encounter with Christ? An affirmation of the intensity of such encounters has the potential to deepen appreciation of divine activity in the world, and to acknowledge divine love and grace being made manifest in the other. Churches are eucharistic communities. In the hymnody of a non-sacramental denomination, the Salvation Army, we see that this reflects something of the demands of engaging in mission: ‘My life must be Christ’s broken bread, my love his outpoured wine.’12 It is perhaps in response to statements about the Eucharist that there emerges some common ground between inherited and emerging churches. Dan Hardy’s concept of pre-ecclesial communities is helpful here: it underscores the way in which God is at work in the world, while also affirming the distinctiveness of the Church itself. Worship itself is fundamentally a corporate activity through which people are embedded into a particular kind of society. The opening words of the liturgy gather those present in the name of God: Father, Son and Holy Spirit. The community shares in the Eucharist and is then sent out in love and peace to love and serve the Lord. But this is more than the formation of a social structure. It is about an encounter with Christ: receiving the gift of his body. As such, the Eucharist is both a place of transformation for the individual and lies at the heart of the Church’smission. The celebration of the Eucharist cannot be fully understood without being attentive to the apostolic imperative at its heart. There is gathering; there is a sending out. Working out the implications of the Eucharist in this way is vital for parishes. It demands the empowerment of the laity, rather than relying on an individual parish priest. It blurs the boundary between Church and world in a way that generously accommodates the spiritually curious or those seeking the Church’s blessing in the midst of birth and death and committed relationships. FTP offers a critique of MSC by emphasizing that faith is not just a set of ideas to be understood, but about a way of life located in certain practices. Its authors seek to restore confidence in the parish system. The practices and disciplines of the inherited Church, they rightly assert, should not be seen as just one of many ‘styles’ of doing and being church: ‘The message and purpose of the Church are to be found in the way she lives and worships.’13 The book affirms the nature of the Church as given – and reasserts the value of the parish as a given locality over what is chosen within the Fresh Expressions movement. However, there is a risk that the Church’s liturgical practices are seen as predetermined and sufficient, leaving the scope of engagement with God’s ways in the world limited. It is all too easy for those within the Church to underestimate the gap between those who attend worship on a regular basis and those living and working within the parish. This gap manifests itself in low-level biblical literacy, unfamiliarity with hymnody, and confusion over liturgical movement. It is also reflected in the reasons given for those seeking infant baptism, marrying in church or requesting that the local vicar conduct a funeral. Often the reasons for these requests are not those anticipated by the Church, or do not neatly fit within the range of theological views of the Church. To say ‘yes’ in these situations makes demands upon the minister and church community, as we seek to be attentive, to interpret and forge connections. Alan Billings writes of how we are called to listen, understand and respond to such requests in Secular Lives, Sacred Hearts. One of the insights of MSC is that our awareness of this ‘gap’ is heightened – not just in relation to the de-churched, but to those who come from a non-church background. Such a perspective is absent from FTP. Unless we are able to describe accurately the world within which we live and worship and work, unless we make space to hear the stories and assumptions of those who come to us, we cannot fully engage with the mission of God. As Tim Jenkins reflects, paying attention to one’s context is fundamental to the Anglican vocation. This practice is not a matter of bringing God into a place, but discerning him in it. It is not just about gathering people together, but discovering their desires; what moves them: ‘For if God is already present in the world, in particular people and situations, one encounters truth rather than constructing it, and matters of great importance impinge upon one, rather than one’s discovering them through any act of will or intention.’14 Part of the Church’s vocation is to go to unexpected places. The chaplain and parish priest, the pioneer and the bishop, are charged with this task – but so are the people of God as they are scattered within the world before and after the sacramental interval of gathering for worship. Generous ecclesiology is shaped by an understanding of the Church that affirms that worship and the missionary task are non-dualistically bound together. It is rooted in a rich sense of the Anglican tradition, which across theological and liturgical traditions remains committed to the demands of witnessing to the gospel. It rejoices in God’s generous love for the world and is attentive to God’s activity within it. The Church is called to ‘learn how to persist with our task in the world … Opening up the true potential and resources of human life’.15 We can only do this by taking liturgy and the world more seriously; by being more attentive to the light of God. A light that is dazzling in its depth; which draws and irradiates, and is refracted in the world. We are called to be faithful to tradition, yet also open to appropriate innovation. Rowan Williams has written of the weakening of scriptural imagination in our culture and the need for its reinvigoration. The process of interpretation, he writes, is a ‘generative moment in which there may be a discovery of what the primal text may become (and so of what it is) as well as a discovery of the world’.16 These two elements of generation and discovery (or ‘finding’ and ‘fashioning’ to use Nicholas Lash’s terms) are found frequently in theology to help uncover what is really the case,17 and this is no less appropriate with our response to the needs of the Church and the world in ministry and liturgy. New developments in all aspects of the life of the Church will, in different ways, recall us to the original vocation of the Church. The immediacy of this task is particularly evident in the fluidity of sector ministry. Here we find the necessity of taking the particularity of context seriously, while being mindful of the equal necessity of maintaining a recognizable ‘family identity’ to established parochial patterns of worship and proclamation, witness and service. The theology and practice of mission cannot be sustained once cut off from the Church’s traditional practices and structures, most particularly its sacramental life. Nor is mission an optional extra within the life of the Church; rather, it is intrinsic to its very nature. But in creative moments in the life of the Church, we may find ourselves open to the transcendent presence of God in new ways that extend how we relate to the divine and one another, and help us rediscover what it means to be the holy people of God. Underlying this assumption lies the conviction that it is the presence of the Eucharist at the heart of the Church’s life that holds together patterns of mission, sustains community life and expresses the Church’s reliance on the divine initiative. As Rowan Williams expresses it: ‘At the moment we probably need a much more robust defence of the supernatural, God-initiated side of our church life and the significance of the sacraments as actually creating the Church week by week.’18 The Eucharist is central to the way in which the Church proclaims the gospel; it is central to its very being as the body of Christ in and for the world. This is not to diminish the importance of the wider sacramental life of the Church. It is in baptism, for example, that our identities are reconfigured in Christ; that we become part of his body. This is a once and for all event; it is unrepeatable. However, to be sustained in our discipleship we are to repeatedly ‘do this’ in remembrance. The presence of Christ in the non-identically repeated sacrament transforms and nourishes the Church. Memory and hope are expressed together, in the present, as the Church is once again scattered in the world. The concept of non-identical repetition takes given patterns seriously as a conduit for the Spirit’s activity; yet it also acknowledges the challenge and opportunity of the particular, enabling appropriate improvisation as the Church engages with the world. The Eucharist enables us to think through an ecclesiology that is embodied; formed for and by its worship and mission. Being drawn deeper into conversation about what it is to embody a generous ecclesiology, rooted in the abundance of God’s love, means being attentive to history and context. To that end we offer the following contributions. From an Anglican point of view, a church is more than a local gathered community based around a particular interest group or style of worship. The role of the bishop in ministry and mission is fundamental to this generous, and universal, understanding of church. Parish clergy share in responsibility for the cure of souls in a particular place, as publicly expressed by the bishop during the service of induction. Both FTP and MSC leave open questions about the relationship between local mission, ministry and episcopacy. With that in mind, Stephen Conway, in Chapter 1 of this volume, takes this as an area of theological reflection. He explores the diocese as the catholic unit of mission and the local, and the bishop’s role in that as a focus not only of unity in ministry, but also unity in mission in multiple contexts, many of which will be supra-parochial or in very different styles. His vision of episcopacy is expansive, apostolic and embedded. He combines an understanding of the bishop as both a defender of faith and focus of unity, with a prophetic calling to Church and culture. This refreshed expression of episcopacy engages with the ministry and mission of Aidan and Cuthbert. In turn, this model is rooted in the pattern of Jesus ministry – of moving onwards through the world, while also withdrawing to pray. Reflections on discipline, authority, leadership, mission and partnership lead into a consideration of the place of holy order for the sake of all God’s companions on the way. This approach offers the opportunity to respond to the challenge of FTP by valuing the place of innovation within the catholic tradition; it also responds to the criticism made of MSC that it does not take inherited patterns seriously enough. In response, Jeremy Morris (Chapter 2) draws us into the Anglican tradition of social witness in the mid-nineteenth century, a period of rapid social change. He traces the origins of this movement and offers a historical re-description by attending to two of its most influential advocates, F. D. Maurice and Charles Gore. In doing so, he recovers a sense of a profoundly inventive tradition, which is attentive to the building up of Christian community by experimenting with pastoral strategies. The challenge is not only an ecclesial one, but also a corrective to historiography of the Left. Faithfulness to the inheritance of the past enables innovative engagement in the present – inventive mission is the outworking of ecclesiology, ‘a tradition of experimentation, out of traditional concerns’. It serves as a reminder that the Church responds to the needs of the world, rooted in mission and worship, and that that vocation has a political and social edge because it is fundamentally concerned with God’s ways in the world. James Heard (Chapter 3) focuses on a particularly missiological theme, inculturation, a term used to refer to the adaptation of the gospel in particular cultures being evangelized. It recognizes that the Christian faith is never transmitted in a culturally neutral cocoon: it needs to be incarnated in the heart of each culture. Inculturationexpresses a generous ecclesiology because it lays great stress on being carefully and respectfully attentive to the missional context. It requires being open to seeing the Holy Spirit working in new, perhaps unexpected, places and people and responding creatively. This, quite rightly, was the concern of MSC. The other side to cultural context is a concern, expressed in FTP, to remain faithful to the riches of Anglican parochial worshipping tradition, and this entails a reflection on ecclesiology. What might fidelity mean for the Anglican tradition? In short, how might the beliefs and practices of a generous missional Church be configured so as to relate continuity and change? Brutus Green (Chapter 4) seeks to engage with the oppositional and exclusive strands found in some catholic thought today, in particular challenging the prevalent Christendom/secular–nihilist binary. In FTP contemporary culture is written off as consumerist and banal and the medieval period romanticized, which gives way to a defensive authoritarian view of the Church as the place not only of salvation but also of good taste. This chapter seeks instead to develop a positive language of dialogue with contemporary culture, where the Church admits it can learn from the world, without capitulating to its terms entirely and uncritically – a charge that is sometimes levelled at MSC. While the Church cannot abandon its ethical and metaphysical integrity, it must also sidestep the post-liberal temptation of radical difference. The challenge is to work towards an engagement that trusts in God’s presence in the world and develops an open, inclusive ecclesiology, alive to the Spirit and seeking the kingdom of God where it may be found. Such a model is generous in how it perceives who the body of Christ belongs to, and generous in how it looks for partnerships in mission and service. Participation in, and the sharing of, the generous love of God is central to the Church’s distinctive vocation in a world that is already the arena of God’s activity. To understand Church and mission fully means reflecting on the way in which dimensions of human life, in the midst of ever-increasing social complexity, are drawn towards their ultimate fulfilment by God. By active engagement with God’s ways in the world, the Church embodies its calling in relation to God’s salvific purposes. Thus, Julie Gittoes (Chapter 5) engages with Dan Hardy’s conception of a Church called to ‘careful walking’. Such dynamic ecclesiology is rooted in worship – being drawn ever more deeply into the very being of God and glimpsing a doxological vision of the fulfilment of God’s kingdom. The calling to walking in the world means witnessing to God’s activity within it as well as holding that vision. The moving forward in hope foreshadows the fulfilment of God’s purpose at the eschaton. This wandering and embodied ecclesia is constituted by the Eucharist, which establishes its calling as society – a Church formed by the intensity of worship and the extensity of mission, witnesses to a God of salvation, the limits of whose generous love we cannot identify. To think of our ecclesiology as ‘moving’ develops the idea of the Church as a pilgrim people on the way. It enables us to speak of healing and provisionality; discipleship and humility. Any consideration of ecclesiology and mission needs to take account of the ecumenical context. Without this perspective, theology risks becoming sectarian; with it, theological engagement is held within a universal vision of the Church. It takes account of the breadth of our shared tradition; and we learn from the distinctive witness of those sharing in God’s generous love. To this end, Tom Greggs (Chapter 6) examines the doctrine of assurance from a Methodist perspective. Writing out of sustained engagement with Wesley’s teaching, he critiques notions of false assurance, which fail to recognize Christ’s presence in the world. Instead, he argues that assurance of salvation has the capacity to deepen our understanding of a generous ecclesiology as it overflows to love for others in compassion and action, just as God’s love embraces the world. The Church needs to become like the sheep in Matthew 25: a people consumed with loving the world, for whom assurance of salvation rests on the Spirit’s work and opens up the Church to the present activity of God. Robert Thompson (Chapter 7) argues that the models of mission offered by MSC and FTP require augmentation in order to offer more flexible engagement both with other Christians and with people of all faith, or none, in our pluralist, contemporary society. He does so from the particular context of hospital chaplaincy. He proposes that ecclesiology and missiology must always be grounded firmly in the person of Jesus Christ, especially on his example and teaching about non-sectarian human compassion. Chaplains find themselves on the cutting edge of ministry and mission – as they represent the Church (the body of Christ) while engaging with, and listening to, those who are outside the Church (but part of God’s body in creation) in a ‘secular’ setting. From this perspective he notes the ways in which the Church deals with its internal diversity on the issues of parochial structure, liturgy and prayer, gender and sexuality and financial ethics in contrasting, and inconsistent, ways. In the light of this, he offers a vision of the Church as holy but also sick, as a way of ensuring that it is constantly called to self-critique and reform in the light of the Jesus whom we encounter in the Scriptures and the sacraments. Generosity, therefore, requires a robust sense of our own individual and corporate sinfulness and God’s generous forgiveness, such that we are opened up to generative missiological collaboration partnership with others. In considering ecclesiology and mission within Anglicanism, Jonathan Clark (Chapter 8) examines the nature of catholicity, rooted in the nature of God. This opens up a discussion about the nature of inclusivity. The inclusivity of the Church is to reflect the inclusivity of God, which presents particular challenges to the Christian community and to individuals. It demands that the story of the Bible is taken seriously; it means that tradition remains useful; it is something living and developing. A rich understanding of a generous loving God revealed in the Scriptures is given direction by our tradition, but it is the Spirit that guides us in the present and into the future. The Church must always be discerning because every place and time has different needs, or presents different opportunities. The purpose of the Church is not to ensure its own survival but that the world may know and respond to God’s love. To fulfil that vocation, the Church needs to tell the same story, but differently. Both MSC and FTP have shaped conversations about mission and ecclesiology. The former reminds us that the Church is to engage in creative and imaginative ways with our missionary calling. The latter affirms the place of inherited patterns and structures that cannot simply be discarded. The contributors of both publications affirm the importance of sacraments and the possibilities for mission. This book takes as its basis the uniqueness of the Church’s calling in God’s world, a world embraced by the generosity of his love. The Church is the body of Christ on the way: assured of salvation; committed to witnessing, listening and engaging; responsive and creative; faithful and critical. To live in relation to a generous God shapes our ecclesiology – all our ways of being, thinking, acting, praying and serving. This vocation is formed by a double constitution of worship and mission. This vocation is for the sake of the kingdom of God. The various chapters in Generous Ecclesiology are offered as a contribution to an ongoing conversation. To this end, we engage with a rich range of dialogue partners, historically, ecumenically and culturally, as well as theologically. The book seeks to offer a rigorous theological resource – inspiring us to drink deeply of the wells of our tradition and inherited patterns. It also seeks to excite the Church about the possibilities for mission in our parishes, Fresh Expressions, chaplaincies and dioceses. Whether implicitly or explicitly, the chapters reflect on – or are shaped by – the ordinary concerns, challenges and opportunities of ministry. The particulars of tradition, locality, diocese or sector are held within a vision of the Church universal. The editors themselves have served as parish clergy in the London Diocese – as curates, associates vicars and incumbents. All of the contributors are actively involved in ministry – including preaching, pastoral care and sacramental worship. As such, this book is a precursor to a forthcoming set of essays on the practical outworking of a generous theology of the Church. As partners of different traditions, churchmanship, and areas of ministry and life, there are inevitably differences in emphasis – and even disagreement – throughout this volume. This can be seen, for example, in different attitudes to ‘incarnational theology’, expressed in the chapters by Jeremy Morris, James Heard, Tom Greggs and in Ian Mobsby’s afterword. Part of what being generous means in this context is discussing, exploring and living with difference. It is this attitude to difference in the contexts of ecclesiology and mission that defines the overall vision that lies behind this project. 1 Mission-Shaped Church, London: Church House Publishing, 2004. 2 Steven Croft, Moving on in a Mission-Shaped Church, London: Church House Publishing, 2005; Steven Croft (ed. ), The Future of the Parish System: Shaping the Church of England for the 21st Century, London: Church House Publishing, 2006; John M. Hull, Mission-Shaped Church: A Theological Response, London: SCM Press, 2006; Lindsay Urwin (ed. ), Mission-Shaped Questions: Defining Issues for Today’s Church, London: Church House Publishing, 2008; Paul Bayes and Tim Sledge (eds), Mission-Shaped Parish: Traditional Church in a Changing World, London: Church House Publishing, 2009; David Goodhew, Church Growth in Britain, Ashgate: Farnham, 2012. 3 Sarah Coakley and Sam Wells (eds), Praying for England, London: Continuum, 2008. 4 A. Davison and A. Milbank, For the Parish: A Critique of Fresh Expressions, London: SCM Press, 2010. 8 D. Hardy, Finding the Church: The Dynamic Truth of Anglicanism, London: SCM Press, 2001, p. 38. Later this month we will be publishing The Pattern of Our Calling, by David Hoyle, the Dean of Bristol. Setting out to explain why theologians said what they said about ministry, why it might matter, and why it might be exciting, David Hoyle covers nearly two thousand years of theological reflection from the Didache to Michael Ramsey and current writers, and provides a synthesis not found anywhere else. Here’s a sneak preview taken from the first chapter to whet your appetite. There are, I know, plenty of other stories just like this one. This particular story is neither unusual, nor startling. It is, though, my story. It is where I make my beginning. It was a June night, thirty years ago, and some of the details are a bit hazy now. I cannot even remember, after all this time, precisely what it was that he said. Perhaps that does not matter very much because the story is, after all, so familiar. In fact, I don’t suppose he said a great deal, he was a shy and scholarly man; words were chosen carefully; never came in a rush. There were always half hesitations and little silences in his company. In fact, it was precisely because he was so reticent that the gesture he made was so remarkable and made such a difference. It was a very little thing that he did, but that night it steered me through a little crisis, and I am still grateful, all these years later. I was in charge of books and candles and so on. I don’t suppose anyone had actually asked me to do that. I had a bustling, chipper enthusiasm and was always inventing jobs that may, or may not, have needed doing. So, because I had to see to the candles and the lights, I was on my feet as the service ended and I was first out of the chapel. First out of the chapel, behind the bishop, and so he could not fail to see that all my absurd enthusiasm and busy confidence had suddenly quite drained away. It was the last night of the ordination retreat. With the others, who were still sitting over their prayers in the chapel, I was due in the cathedral the following morning, to be ordained deacon. Like so very many men and women, before and since, I was suddenly swept with great tides of doubt and fear. Ordination retreats usually close with a bishop’s ‘charge’. For several days, a retreat conductor leads those to be ordained through a period of quiet preparation. At the end of the retreat, there is a change of gear and the bishop, who will soon ordain in the name of Christ and his church, speaks words of encouragement, instruction, or challenge. Gathering for the bishop’s charge everyone knows they have come to a threshold and everyone feels the significance of the moment. Most of our bishops, sensibly, do not tug on the heartstrings. Well aware that they are speaking to men and women who are, on a roller coaster of anxiety and excitement, they speak calmly of important truths. Earlier generations, notice, knew the risk, knew the possibilities of failure and success. In Ely, in 1986, we did not get anything like that from the bishop. I would have bolted if I had heard anything like that. I was all in a mood for bolting. The retreat had already provided more than enough in the way of defining moments. It had been led by W.H. Vanstone, a man who had digested his own experience of an acutely uncomfortable parish ministry and brilliantly laid it bare in the book, Love’s Endeavour, Love’s Expense. Vanstone had been a taciturn, intense presence throughout the retreat. Self-contained and under-stated, he was nonetheless a man of passionate conviction and it all got distilled into a series of addresses about ordained ministry lived and worked ‘out on the boundaries’. Vanstone had learnt, at great personal cost, what kind of work a priest can do with people who are struggling to negotiate something at the very borders of their experience: in sickness, bereavement, or anxiety. A priest who is going to be any use in conversations like that, he told us, has to be out on those same boundaries too and know just how uncomfortable that can feel. Priests are called to the boundaries, he said, and to the knowledge that there, our capacity and resources would be stretched to the limit. I took the point, but there was a cold fear in me. So, by the final night of the retreat, I was seriously thinking of bolting. ‘His words are quiet, but not too quiet’. My bishop might have been sparing with words, and gentle in manner, but it was not because he had nothing to say. There was nothing uncertain or confused about him. He was a man rich in learning, full of reference, and even the silences had a kind of authority, he was himself precisely, ‘quiet, but not too quiet’. He pointed us towards a ministry that would first hear the truth and then speak it. I did not for a moment disagree, but I was by now mentally packing my bags and planning my great escape. These were demands I could not meet. And so he saw me, as I left the chapel, frightened of running away and frightened of staying. That seriously shy man put his arm round my shoulders and propelled me into the garden where we walked up and down in near darkness for fifteen minutes. Initially, of course he just had hold of me and I wasn’t going anywhere, except where he was going. Later, I knew I had to stay. I had to stay because I was suddenly in company, I walked in that garden, at night, with someone else. Ministry was not and never would be something I did alone. I had, at last, also been reminded that ordination really was not the simply a test of my talents and my convictions. I was being ordained, by a bishop, into the church of God. Properly understood, ordination might indeed set me apart and despatch me to those boundaries I feared, but it would also always remind me that I would be included in something, swept up in the great purposes of God. The work that worried me so much would never really be mine. As well dash my head against a fortress of stone, as attempt so hopeless a task. What can I do to heal this wounded spirit, to melt this hardened conscience, to soothe these dying agonies? Who am I, that I should act as Christ’s ambassador, should bear God’s message to these? I am tongue-tied. I can only stammer, can only lisp out half-formed words like a child? Ministry is not something we own, it comes from Christ. It is his work before it is ours. That night, walking round and round the little lawn, I began to understand this better. I knew I had to stay. I did not really understand it then, but I would soon begin to see that a vocation is not a choice you make and certainly not a commitment to excel. I don’t think the Bishop believed in my abilities, I doubt if he even believed in the miraculous power of the ordination rite, but he believed in my vocation. He believed I was called by Christ and that if I was true to him, he would be true to me. So, my ordained ministry began with some serious questions about what on earth I thought I was doing. Strangely, that crisis passed and never returned. I have had dreadful days and, at one stage, months and months, when I have wondered what to do next and berated myself for my failure to live up to my calling. There have been real crises because I have been wrong and because I have done things badly. The question about whether I should be doing it at all has, however, never returned. I have been very lucky. Others around me, including at one stage a close colleague, have been dogged again and again by that particular, cruel uncertainty. It takes all sorts of forms. That night in Ely, I faced question about my own vocation because I had been labouring with the dreadful, cocky conceit that ministry was going to be a test of my abilities and a public performance. That brought me to a crisis of confidence and courage. Now I am (slightly) less fascinated with my own reflection. The temptation to assume this must all be about me has passed. Still, it was there, in that night in the garden of a retreat house, that this book, about ministry and priesthood, had its beginning. Having resisted the dreadful temptation to bolt, I served a (rather short) curacy on a modern housing estate, and then went on to be a college chaplain. For seven years I taught history to undergraduates, took chapel services in term time, and let bursars and clerks of works worry about bills and maintenance. I worked as a pastor in a small community where I knew nearly everyone by name and where I knew and felt all the rhythms of the student year. It was all very exciting, and energetic, and opinionated, and I loved it, but it wasn’t a preparation for parish ministry. After seven years of college, and claret, and conversation, I was instituted and inducted as a Vicar and discovered I had no map for the journey. At first, of course, I simply did not know the place or the people and struggled with a fairly hefty culture shock. That was hard, but the real problem was something more fundamental, and more destructive than that. My difficulty was that I had no real idea of what a priest was supposed to do, or be. I worked hard, but usually felt I was doing the wrong thing or (just as uncomfortable) the right thing, badly. The poor parishioners I went to work amongst needed endless patience as I lurched from anxious inactivity into frantic, misplaced effort. Fortunately, they proved to have patience by the bucket load. So, the question was slowly refined. I was no longer so concerned to know how best to use my gifts in as a priest, I was much more concerned to know what a priest was, what a priest did. When I moved again that question began to loom very large indeed. I became a member of the new legion of diocesan officials, responsible for ministry. I had been a Vicar, now I became an ‘Officer’ and, a bit later, a ‘Director’. The titles bother me a bit. If you need an ‘Officer for Ministry’ there might be an implication that ministry is official and needs organising from an office. The business of being a ‘Director’ is even more disturbing, partially because of all those pinstripe associations in the boardroom, and partially because of the implication that ministry might need a diocesan official to give it direction. That is a simply ludicrous idea. It is ludicrous because ministry is local and happens in particular places, amongst particular people and does not readily lend itself to direction from outside. It is also ludicrous because we are virtually all agreed that ministry is changing fast and being done in all kinds of different ways. There is simply not enough agreement amongst us for us easily to accept direction from a man with an office and a computer and a few books. There is a variety of practice and opinion that is pulling us apart. Like it or not though (and, in truth, it was a job I loved), I had become a Director of Ministry and I was supposed to have something to say about what ministry is. I left that job six years ago and amongst the boxes and bits and pieces that were carried from my house when we moved was a first draft of this book. Now I am a dean and my experience of ministry has changed again. One of my jobs now is to keep ‘open house’ for the diocese. A cathedral is the theatre for diocesan relationships. A dean can make those relationships easier, or more difficult. What I see, in the cathedral, suggests to me that our conversations are more problematic than they used to be. The clergy are stretched thinly and work with ordained colleagues less and less often. We are less collegiate and cathedrals, staffed by a dean and canons, look privileged. Cathedrals are also beginning to look odd. The worship of the Church of England is more various than it has ever been. Choral evensong which was once the benchmark for Anglican practice is now unfamiliar territory. At the end of a service that I had thoroughly enjoyed a fairly senior parish priest cornered me and jabbed me with a finger ‘What had that got to do with the price of fish?’ The truth is that the clergy can no longer summon up a common culture and a common practice becomes more difficult. Our meetings become clumsier. So, this book is written, to answer questions about ministry which I have asked myself over and again. It is written too out of the more recent experience of talking to others who ask similar questions. There are dozens and dozens of books about ministry. I have read quite a lot of them and discuss a few in the pages that follow. The church now echoes with the sound of the clergy talking to themselves, about themselves. I feel more than a bit shifty about adding my voice to that din. There is though, something I want to say. Since that night in Ely, I have been interested in the question ‘What are priests supposed to do?’ I believe that same question is now being posed with mounting urgency and a fresh impatience. We have passed through a period when we have debated our calling and sat loose to any one solution. Now, a church eager to be more effective in mission and more anxious than ever about its future is suddenly discovering a new determination to insist that ministry should look and sound like focussed leadership with clear strategic goals. Not so long ago we struggled because ministry was various and we scattered in different directions. Now we are struggling because some of us are very clear that we know exactly what ministry should be doing and the rest of us do not like the direction of travel. Ministry is an inheritance, not a possession. The language we are using is new. It needs testing. This new vocabulary is sometimes accompanied by an insistence that old ideas and old practices have constrained us and even compromised our work. Here, I want to ask if that is so. What helped me that night as I stood at the beginning of something new was to be reminded I belonged in company. This book is a study of the company we keep in ministry. Others, before us, came to their own ordinations in fear and in excitement and worked out the grace of orders in other places and at other times. So, alongside the new vocabulary here is the old. It is offered in the hope that it might do for someone else what once Peter, Bishop of Ely, did for me, on the night before my ordination. Here is a reminder that we are in good company and not as isolated as we might feel. The Pattern of our Calling is available on the SCM Press website with a special 20% discount if you preorder your copy before 30th November. Click here to find out more. “Cutting others down from their own individual Judas trees by telling them the story of Christ’s love and forgiveness”. That, says Bob Mayo, a vicar in Shepherd’s Bush, West London, is the work of the parish church community. Here he writes movingly about an encounter he had with a desperate man called Barry. Homeless people come frequently to my door. Andy set up a tent for himself under the bicycle racks and stayed for a month. Sam came straight from prison, having been let out with nowhere to go. Barry came wanting to end his life though I did not realise this till afterwards. It was blisteringly hot. He lay under the tree at the front of our house, matted with sweat and dirt and did not move. We brought him chicken and chips in the evening and bacon sandwiches in the morning, but he would eat neither and the unopened packets lay stacked beside him. We gave him water so that he could at least rehydrate himself. He lay in a tinder dry pile of leaves and smoked. It was a Health and Safety nightmare. People in his position generally want to talk. They are bitter, hungry or lonely and want to speak about what has happened to them. Barry was numbed and told me nothing about his situation! On the third night I sat with him by the tree. I stayed past midnight and held him like a child as he cried. Tears appeared on the edge of his eyes but never reached the bottom of his cheeks because they were absorbed into the dirt and sweat matted onto his face. Still he said nothing but it was important that I was there. My short time sitting with Barry is a part of the wider pattern of God’s love for the world “…through the dark and empty desolation”, wrote TS Elliott, “love is most nearly itself when here and now cease to matter”. The next day Sylvie and I were able finally to persuade Barry to take a shower. That night his wallet was stolen. The combination of having had a shower and his wallet stolen jolted him out of his stupor. The shower cleaned him up and gave him back a sense of dignity and responsibility for the man he was. The stolen wallet lent urgency to his situation. Barry admitted to me that he had a place in a hostel in the Midlands. I paid for his ticket and put him on the next train home. I rang the staff at the hostel and learnt of what had been Barry’s intention in coming to London. He had disappeared from the hostel and left a suicide message on their phone. He had chosen the cosy hidden space between the tree and the front vicarage wall to end his days. He met a fine group of people who helped to restore him to life. Sylvie, my wife, was project manager. Rudi can charm the birds off the trees but then will worry about them afterwards; Chris will have thought of a solution before he knows the problem; Anne will listen with the patience of the Angels to people in distress. The poem ‘The Judas Tree’ tells about Judas, in Hell, hanging on the tree of his own despair. Jesus cuts Judas down from the tree and takes him in his arms. “It was for this I came” he said and not to do you harm”. All over the country there are people in parishes cutting others down from their own individual Judas trees by telling them the story of Christ’s love and forgiveness. Christianity is not based on time-transcending ideas but is rooted in particular events in recorded history. In looking after Barry we were simply carrying on the 2,000 year old story of the Church in society. Bob’s new book The Parish Handbook reveals, through beautifully expressed reflections on everyday parish life, that the social and political revolution at the heart of the parish is people learning to relate to each other in the name of Christ. Written with additional contributions from Cameron Collington and the Rt Rev David Gillett, it is published on 30th November and available to preorder now with a 20% discount – click here to find out more. This book draws upon what Laurie Green has learnt – in a kind of long meditation on the beatitude ‘bless are you who are poor’. It stands in a noble tradition of Anglican antagonists who long to develop a new tradition that seeks to learn from the poor and so offer a new theology that might enable the merging our past and our future into a more sustainable present. It is nothing short of a tragedy that we continue to tolerate such significant levels of poverty in our country today. While there are churches involved in social action and care of the marginalised and vulnerable we continue to live with an economic system that forces some people to live in the most appalling conditions. Not to keep on articulating the contradictions and paradoxes of this reality is, to return to an earlier analogy, to move Green’s book from desk to library. Put another : way what is to be done now? Are we listening to the voices of the Poor? Are they to be our teachers? Perhaps it is the case that as long as we ignore these complex realities we ourselves become poorer as individuals and as communities. Reproduced from http://www.jameswoodward.wordpress.com/ . You can find out more about Blessed are the Poor?, and order a copy via our website here . “I have written The Parish Handbook as an expression of joy for the role parishes play in God’s redemption plan. Theology books can be either hectoring or opaque. They are either telling us what to do or else they are abstract and conceptual. Books about parish churches are more often the former. They like to say what the problem is and then to put themselves forward as the solution. They tell us what is going wrong and what we should do about it. We are told that we need to be a purpose driven church. a mission shaped church, an inclusive or a deep church in order to be authentic faithful and true. The Parish Handbook is written to ensure that we don’t underestimate what we already have in place already: what might a church faced church look like? Parishes have a passion for the ordinary and a vision for the expected. Parish churches are relevant to society precisely because they don’t fit the culture. A Parish Church gathers together those who are not of our tribe. A Parish Church draws together people with nothing in common other than where they live and a desire to gather together in Christ’s name. It is a dog help dog world. The radical political nature of a parish church is to gather, in one place, different generations, races and classes of people. David Gillett, Honorary Assistant Bishop and Interfaith Advisor in the Diocese of Norwich offers a preface and concluding reflections, and each chapter also ends with a reflection from Cameron Collington, vicar at St Simon’s Shepherd’s Bush. The Parish Handbook is available to preorder from the SCM Press website, with a 20% discount off the list price if you order before 31st November. Click here to find out more.